Kenyan boxer Nick Otieno “Kanyankole” failed in his bid to recupture the WBC International bantamweight title following an unanimous points’ decision at Jombung in Ratchaburi, Thailand on Friday. After 12 rounds of ferocious shots and brilliant displays Kanyankole, a former Kenya amateur international, dipped to 21 (KO 9) wins and 6 defeats while local Thangthong Kiattaweesuk stretched his unbeaten run to 20 fights. One of the referees had it 110-118 while the other two scored it 109-119 and 109-119. 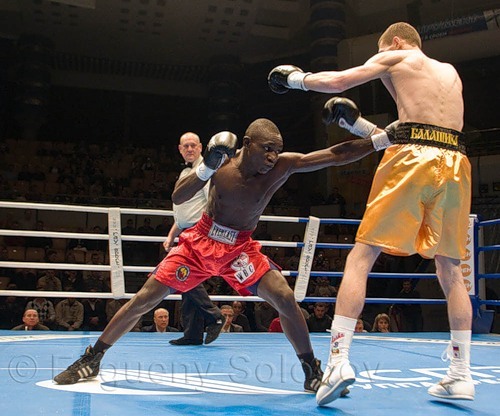 The Kenyan had won the vacant WBC International bantamweight title as well as the African Boxing Union bantamweight title in 2008 on a majority decision against Nigerian Ibrahim Adewale in Nigeria. The title was later declared vacant when the Kenyan didn't defend it within the stipulated duration of three months. Otieno lost the IBF International bantamweight title to Eduardo Garcia in Russia in February 2008 and Z Gorres in Philippines last May the same year.